Turns out, cotton pillowcases aren't the best at keeping your hair and skin moisturized! Ever gone to bed with relatively smooth skin and hair, only to wake up with a crease on your face from your pillowcase and a seriously disrupted blowout you hoped would last for another day? Surely I can't be the only one scared by looking in the mirror in the morning and realizing that I slept on my cotton pillowcase seam? Well, frizzies and weird face creases BE GONE! Folks have sworn by silk pillowcases (like this one!) for years in tackling these beauty conundrums AND for a ~cooling~ effect. So the thing you sleep on may just become the fave part of your nightly beauty routine! BTW, it's made of 100% mulberry silk, and has a 600 thread count and hidden zipper. So basically, it'll be smooth as ACTUAL silk on your hair and just may save you a wash or so a week. Talk about an investment. 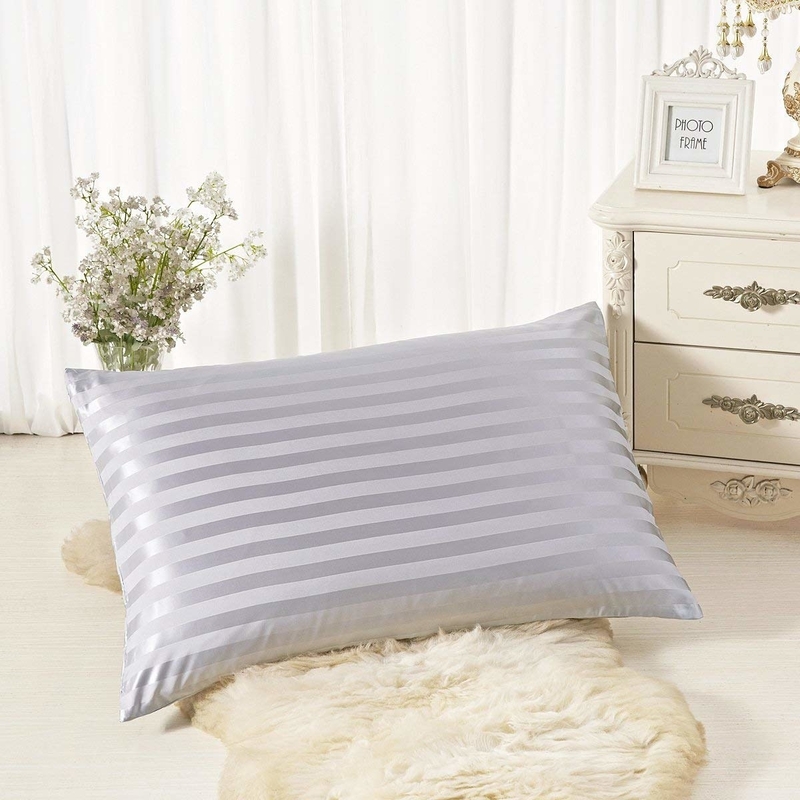 Oh, and it comes in DOZENS of colors, so you're sure to find an option that'll fit in nicely with your current bedding sitch. 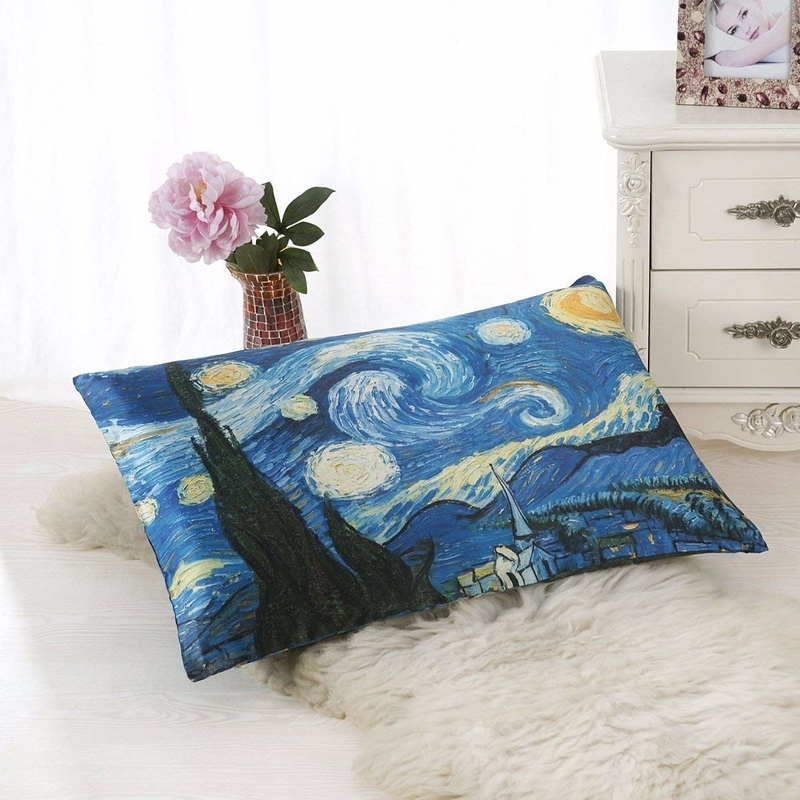 I won't say that sleeping on the pillow version of "The Starry Night" will be the creative inspo you need to finish that work project. But I'm not not saying it won't ;). But don't just listen to me! 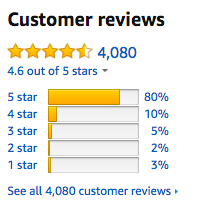 Take a gander at the 4,000+ reviews with an average rating of 4.6 stars to help make my (very convincing) case. 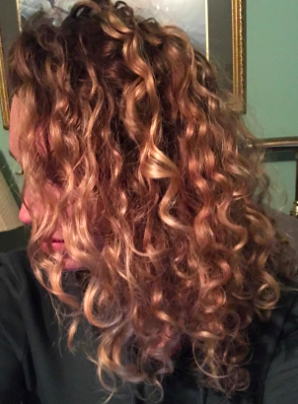 Or take a look at this customer who shared some ~sleek~ hair results thanks to sleeping on this silk babe and is never going back to cotton pillowcases. So what are you waiting for? Get yours from Amazon for $22.99+ (available in six sizes and 29 color combos).